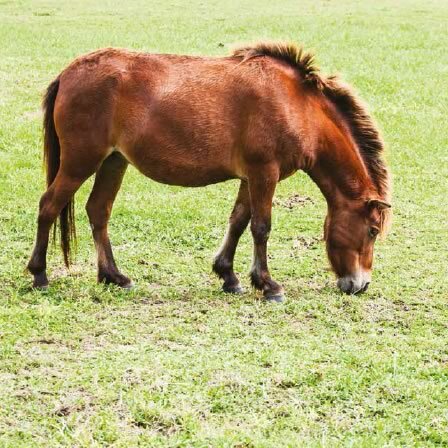 Miniature Horses were first developed in Europe in the 1600’s, and by the mid-1700’s were seen frequently as the pets of nobility. By the mid 1800’s they also found their first work as mine ponies when the use of young children was banned. On average a miniature horse will live one-third longer than a large horse, and a ratio of one-horse year to six human-years is generally used to ‘age’ a Miniature Horse. The Guinness Book of Records records the smallest horse as one ‘Black Beauty’ which only grew to 18.5 inches tall.